I am not a nuclear engineer, physicist, or technician, and am in no way officially connected with the nuclear industry. I do not hold myself up as any sort of expert on the subject; but have developed a keen interest in nuclear technology, and in the many ways that it might extend the survival of civilization. I have researched through books, the Internet, and occasionally by talking to guides, technicians, and even a scientist or two, at the various nuclear sites open to the public. I have gathered these researches together here, as a sort of a layman's guide to nuclear technology. What is most remarkable about this deep mysterious subject, is that it is not all that deep and mysterious, nor is it difficult to grasp the basics. There is no advanced math here, no deep physics, and nothing very abstract or confusing - this section was written so that even I can understand it. The reader who slogs all the way to the bottom of the page will know more about nuclear technology than most of the legislators, regulators, activists, and political hacks who presume to dictate how the industry should be run. The discovery of nuclear fission, and then fusion, seemed to hold out the Biblical prospect of both the blessing and the malediction. Nuclear power was the answer to the world's energy needs. Compared with coal, and oil, it was cheap, safe, and did not pollute. These are virtues which it still has today. A pound of uranium has something like the energy content of 3,000,000 tons of coal. It is actually cheaper to produce power in a nuclear plant, than in a coal powered plant. When the nuclear power generating industry first began, supporters predicted energy that would be too cheap to meter. It is also, despite the emotional rantings of the ignorant and fearful, quite a bit safer. Far fewer people have been injured per kilowatt generated by nuclear power, than is the case with coal powered plants. More people have been killed in rail crossing accidents with trains transporting coal to power stations, than have been killed in the entire history of the nuclear program. Coal is also, like most minerals, slightly radioactive. More radiation is put into the environment from the smoke and gases generated by a coal powered plant, than is produced by any nuclear plant - much more. Unfortunately, nuclear energy production has never realized anything like it's full potential, in this country. It now accounts for something like twenty percent of out total energy production. The anti nuclear, green, and liberal factions are responsible for the stifling of the nuclear industry. The anti nuclear faction portrays all nuclear plants as nuclear bombs ready to go off. This is either a result of a complete lack of knowledge, or is an intentional lie. A nuclear explosion is a particular kind of chain reaction which is very artificial, and can only be produced intentionally under a specific set of circumstances. Nuclear plants do not explode. As with many similar movements, it gathered to itself large numbers of ignorant, fearful, backward types. These are the same fear mongering types who, in the past, have burned witches, called reading and math works of the devil, and forced doctors of the past to go to grave robbers, so that they could study anatomy. In addition to offering abundant energy, and the world's ultimate weapon, the nuclear industry offers several different types of medical technology. Nuclear isotopes are used to cure cancer, as well as to treat certain other diseases. Nuclear agents are used as tracers for metabolic processes, as well as markers for certain types of diagnostic imaging. The use of radiological imaging dates back to the first X-ray machines, which date back a hundred years or so. Research is still being done; but radiation therapy; and imaging both promise to play more significant roles in the future. I begin to feel my age when I consider this subject. For an increasing number of Americans today, the Cold War is something out of history, and the Soviet Union is as dead a nation to the younger generations, as Nazi Germany or the Ottoman Empire is to my generation. While these days, terrorists, liberals, and apathy threaten to destroy civilization, through the infliction of a thousand tiny cuts, there was a time when the two superpowers threatened to destroy it, and mankind as well, with one mighty blow. In the mean time, grim men were prepared to destroy the world, in order to save civilization. Though this all sounds very strange to those who did not live through the times, it was very real, and very serious. There is little doubt that nuclear power has more than fulfilled it's military potential. Nuclear weapons have prevented anything like a major war for decades, because they are so destructive and horrifying that no one in their right mind would even consider risking a nuclear war. Unfortunately, with the rise of the third world, the leaders of many potential nuclear states are not in their right minds. Nuclear power, on the other hand, is a different story. The promise of nuclear power has barely been acknowledged. much less fulfilled. Today something like a sixth of the world's electricity comes from nuclear plants. Reserves of Uranium 235 are said to be enough to provide for the entire world's power needs, for a bit less than 100 years. Reserves of the much more abundant Uranium 238 could last us for at least 10,000 years, and for as long as billions of years. Even more promising are the huge amounts of thorium, estimated to exist in triple the quantity of uranium. Imagine that; the world's energy needs for the rest of conceivable history could be taken care of, had we but the will to use the knowledge that we already have. Instead, in a hungry world, we propose to burn food, in the form of corn derived ethanol, for energy. The basic element (if you will pardon the pun) of the modern nuclear industry is uranium. As an element, and a metal, Uranium has a number of interesting properties. The metal is nearly as hard as steel, and heavier than lead, being nearly as dense as gold. It tarnishes very easily, and though it is a lustrous silvery metal, it will quickly turn black on exposure to air. Powdered uranium may glow in the dark, will sporadically burst into flames, and can even react with water, in the manner of sodium. It is pretty strange stuff. One of the more interesting characteristics, of Uranium, as well as most other unstable elements, is that it is slightly warm to the touch. Though it's compounds had been used since Roman times, uranium was not properly discovered until 1789, and was not isolated until 1841. In 1896, uranium was discovered to be radioactive, which accounts for it's warmth. Though considered to be an exotic material, by most people, Uranium is quite common, being a bit more abundant than tin. It is also relatively cheap; cheap enough to have been used as counterweights in aircraft. Depleted, and even natural, uranium can be found for sale, here and there. To the right is a photograph of a sample for sale at United Nuclear. Uranium is also commonly used in many other non nuclear roles, such as weights in gyro systems, and in a number of other applications where a durable, and heavy substance is required. The metal itself is rarely used in reactor applications. Generally, reactor fuel consists of a number of pellets of the oxide, encased in a series of long tubes. There are some hazards associated with common uranium, however, they are often overstated. The metal is only weakly radioactive, in it's natural state, and does little or no harm unless it is ingested. Ingested uranium is more of a threat due to heavy metal poisoning, than to any radiation danger. The most common cause of death, from uranium, is from kidney failure, due to heavy metal poisoning. Interestingly, the most hazardous by product of the whole nuclear process is not nuclear waste. It is a series of fluoride compounds left over from the refining process. Nuclear technology is like any other; there is a learning curve, and there are hazards. The users of the first wheels, undoubtedly went too fast, and occasionally went out of control, as do modern users of wheels. Early man certainly got burned, when he first began to use fire, and doubtless drowned soon after the launching of the first boat. Everything has a cost; but there is also a cost to not using things. Like it or not, and whether we knew what we were doing or not, mankind has brought itself into the nuclear era. The various isotopes of uranium, are examples of the two types of major nuclear materials. The first type is the fissionable material, which is what most people think of, when they think of nuclear materials. The fissionable natural isotope of uranium is 235. This is the type of material that will split to create energy, and will have a critical mass. The critical mass of a fissionable is the weight of the substance which, when formed into a sphere, would support a chain reaction. There are ways to initiate chain reactions with less material, either through compression, or through the use of outside sources of radiation; but the critical mass of a given fissionable, is a pretty good guide as to how usable it would be as an explosive, or as a source of energy. Generally, a fissile material will decay at a certain rate, defined by its half life. The half life of a material is the amount of time that it would take for half of a given sample to decay. As an example, with a half life of a bit more than 24,000 years, a one pound sample of plutonium 239, would, after 24, 000 years, only contain a half pound of P239, the rest having transmuted into U235, through alpha decay. This decay is spontaneous, and apparently random, and has nothing to do neutron inspired fission. Once critical mass is attained, things are different. Neutrons are given off as part of the normal decay process, but generally have no effect on the surrounding atoms. Because these neutrons are fast moving, and have no charge, they can pass by, and even pass through, other atoms without affecting them, and simply pass out of the mass of fissionable which produced them. As the mass gets larger, there is more material to pass through, and the likelihood of a strike increases. Eventually, there is a point at which there is so much material, that a strike is virtually certain. This strike will split a nucleus, and cause it to release further neutrons, which will strike other nuclei and cause even more neutrons to be released, to strike other nuclei, and a chain reaction occurs. This considerably speeds up and changes the nature of the transmutation of the mass. Instead of years, centuries, or millennia, we are talking microseconds. We are also talking a change in the materials produced. Rather than giving off alpha particles, as is the case with natural nuclear decay, neutron struck atoms tend to cleave more nearly in half. The critical mass is determined by the density, stability, and neutron cross section of the element in question. Some fissionables, like U238, are so stable, that they have no critical mass. The most commonly used fissionable materials are uranium 235, and plutonium 239. The element numbers indicate the isotope, by enumerating the atomic weight. The atomic weight of an element is essentially the total number of neutrons and protons. Thus uranium, with an atomic number of 92 (92 protons) with have 143 neutrons in isotope 235, and 146 neutrons for isotope 238. Uranium 235, and plutonium 239 are the most commonly used, because they are unstable enough to have a critical mass. These materials will spontaneously create, and sustain chain reactions, when critical mass is accumulated. Thus a large enough chunk of plutonium will immediately begin to produce significant amounts of heat, as well as radiation. There is something almost frighteningly simple about this. You can take two small pieces of plutonium, and they will be somewhat warm to the touch. Slap them together, and they will immediately grow hot enough to boil water, or char your hands. Natural uranium does not have much of the 235 isotope. As a matter of fact, the 235 isotope is very nearly at trace element levels, comprising only about 0.7% of a refined sample of naturally occurring uranium. This is pure metallic uranium, refined from ore, and separated out, just as iron or gold might be separated out into their pure metallic forms. Still, for most uses, the pure uranium must further be separated into its various isotopes. The process is generally done by weight, and is known as enrichment. Enriched uranium is higher in U235 than natural uranium. The degree of enrichment depends upon the intended use of the material. In addition to the enriched material, there is a residue, which is virtually pure U238. This is commonly known as depleted uranium, because the valuable, and sought after U235 has been taken out. The second type of nuclear material is the fertile material. Fertile nuclear material is generally not usable as a source of energy; but may be converted into something that is. A good example of this is uranium 238. This material, though slightly radioactive, can not be made to support a chain reaction, and has no critical mass. When exposed to radiation, as in the walls of a reactor, and struck by neutrons, uranium 238 is converted into uranium 239, which quickly decays into neptunium 239. With a half life of around 56 hours, neptunium 239 quickly decays into plutonium 239. Thus Uranium 238 is the major source of plutonium 239. A major fertile metal is thorium, which is abundant, and easily converted. There are many other useful radioactive materials; but they are pretty much limited to the role of supporting players for the main characters. Some are good neutron sources, while others are neutron reflectors. A list of all of the major nuclear materials is below, in table form. There are a number of other fissile, and fusile materials; but most of these are either too dangerous, or in too short supply to be considered useful. Uranium 236 92/144 alpha 23,420,000 years 18.9 gm cm .00006 gm A neutron poison, and waste product in thermal reactors, it is also quite radioactive. Uranium 235 92/143 alpha 704,000,000 years 115 pounds 18.9 gm cm .0000021 gm This is the most common material for use in nuclear reactors. Tritium beta 12.32 years NA gas 9650 gm Though it can be used in a fusion device, the most common uses for tritium are either as a trigger neutron source, or as a booster for fission bombs. Polonium alpha 138.4 days 9.5 gm cm 4500 A very powerful source of alpha particles, for nuclear triggers. Beryllium NA NA NA NA A good neutron reflector. Also a good source of neutrons, when combined with an alpha emitter. 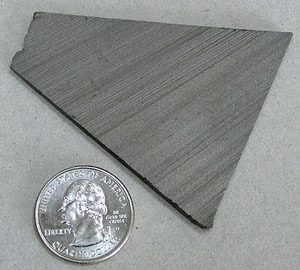 Graphite NA NA NA NA Used as a moderator to slow down fast neutrons. The chart above, though a useful guide, is only somewhat accurate. This is due to the changing nature of radioactive elements, and to their changing densities, and varying states. Hot uranium expands, and greatly reduces it's density, over that of cold uranium. These substances are always changing, and thus the nuclear properties of any given amount of any such substance are dynamic, rather than static. As an example, a sample of tritium loses half of it's radioactivity, every twelve years or so, as it decays into helium. In contrast, the radioactivity of a sample of uranium 235 increases greatly, as it decays into thorium 231, which is around 2.6 x 10^11 more radioactive, and as the amounts of uranium 236 increase. So suddenly, after a few years, your sample of mildly radioactive uranium 235, is an extremely radioactive sample of uranium 236, thorium, protactinium, and a few other unhealthy substances. This also happens, though to a lesser extent, with the far more common uranium 238. Eventually, all of the fissile elements end up as stable elements, at the end of what are generally called their decay series', all having found their lowest levels, as it were. It might seem that there should be a variety of different elements into which the fissiles can transform themselves, and indeed, there are a number of intermediate fissile elements in each series; but in the end all are transmuted into one of only four stable elements. These are known as the four natural decay series. I have included a great set of charts, taken from a physics website, showing the members of these four series, which together include all naturally occurring radioactive elements. These charts show how the decay progresses in each series. Though it is possible to create other radioisotopes, outside of what is show in these charts (strontium 90, cobalt 60, and many others), these are not natural decay products, and are made by bombarding elements with neutrons to take them up, and increase their atomic weight or number, whereas the natural decay series' always travel in a downward direction, toward lower atomic numbers, and lower atomic weights. These series' end with the stable elements having atomic weights of 206, 207, 208, and 209. These are all isotopes of lead, except for 209, which is bismuth. The reason that there are four, and only four decay series, is due to the nature of nuclear decay. There are essentially two ways that a nucleus can decay. There is alpha decay, and beta decay. The reasons for this are known, to a degree; but are beyond the scope of this page. Because these are the only two natural ways for radioactive elements to decay and transmute, the limit of four distinct series is a given, with the number of series defined by the size of the alpha particle, which itself consists of four nuclear particles. Of the two types of natural decay, beta decay makes no change in atomic weight; but does change the atomic number. Such changes are known as transmutations, and change one element into another element. Thus, when tritium, an isotope of hydrogen, beta decays, it transmutes into helium-3, a light helium isotope. The atomic weight remains approximately the same; but the atom itself is transmuted from element number one (hydrogen) into element number two (helium). In this case, the change occurs because one of the three neutrons in the tritium atom, decays into a proton. In doing so, this neutron gives off a beta particle, which is essentially a high speed electron. To be even more explicit, one of the down quarks in the neutron beta decays, giving off a beta particle, and an antineutrino. Because a neutron is composed of two down quarks, and one up quark, and a proton is composed of one down quark and two up quarks, this has the effect of changing a neutron into a proton. Alpha decay, as can be seen in the element chart above, is far more common. Alpha decay also transmutes the element from which it is produced; but unlike beta decay, alpha decay also changes the atomic weight of the element. Alpha decay occurs, when the atoms of an element give off alpha particles. An alpha particle is essentially a helium nucleus, consisting of a pair of neutrons, and a pair of protons. You might think that other types of decay would be possible; but under normal circumstances, they are not. There is no proton decay, nor do fissile nuclei commonly give off neutron/proton pairs or single neutrons, mostly due to energy thresholds required for particles to escape the nucleus. These can all be made to happen, in accelerators and other such places; but do not generally occur in nature. So every naturally occurring radioactive substance will appear on one of the four charts above, and all will eventually end up as one of the stable elements shown at the bottom of the charts. Thus the four natural decay series' take their forms. In every one of these reactions, the nucleus is attempting to get to the lowest possible energy state. We are in the midst of the nuclear era, though this is a fact that we scarcely seem to notice. The end is nowhere in sight, despite the efforts of the anti nuclear activists. There is no end in sight for the simple reason that we are now dependant on nuclear technology, in a number of different ways. Everyone is pretty much aware of the use of nuclear weapons, and nuclear power generation, and is somewhat aware of the use of radioactive materials in medicine; but there are scores of other uses. Nuclear materials are used in smoke detectors, food processing and sterilization, materials testing, and a number of manufacturing processes. Something like 7% of the worlds energy is derived from nuclear power, while in the United States, this ratio is up to 20%. As an example of how significant this is, consider the following. The U.S. only imports about 30% of the oil that it uses, and only about a third of this comes from the Middle East. Yet look at the effect on the country when there is an oil embargo, a threat of a price increase, or any kind of political trouble in that dysfunctional part of the world. Now also consider that oil is only one source of energy, along with coal, nuclear, hydro, and wind generators. In the light of this, consider again the effect of losing 20% of our energy production. Regarding nuclear weapons we have kind of got the wolf by the ears with this one. We are not necessarily happy about the situation; but we don't dare let go. If America were ever silly enough to rid itself of all nuclear weapons, the country would be taken over, or perhaps destroyed, within the year. We are, for better or worse, stuck with them. So we are in the midst of the nuclear era, and see no end in sight; but what about the beginning? Well that's a bit harder to determine, and is as much a matter of judgment as anything else. Some might say that the nuclear era began with the discovery of X-rays, or the discovery of radioactivity, both made around the turn of the last century. For others, it might seem that the splitting of the atom, first accomplished on April 14, 1932, by John Cockcroft and Ernest Walton, in which an atom of lithium was split into two alpha particles marked the beginning. For others, it might be when nuclear fission of uranium was first accomplished through human intervention, in 1934, thus setting the stage for all further development. Still, all of these events were mere stepping stones --- experiments which produced no usable results, and had no effect on the larger world, outside of the laboratory. These are all examples of science, of exploration and proof. An era does not start until the engineers get involved, and create devices which take the discoveries of the scientists out of the laboratory, and put them into the world of common experience. This did not happen until the forties. On December 2, 1942, at 3:25 p.m, man first initiated a self-sustaining nuclear chain reaction, and controlled it, by pulling a rod out of an unlikely looking pile of bricks. The world’s first nuclear reactor (called a nuclear pile, for reasons which become obvious if you look at a picture of the thing, above), went critical under the West Stands of Stagg Field, Chicago in the squash-racket court. So here we have the world’s first nuclear device, crude though it may have been. So was this the start of the nuclear era? For myself, as for most others, the nuclear era began on August 6th, 1945, with the dropping of the first atomic bomb. This horrifying event definitely took nuclear technology out of the laboratory, and introduced it to the world at large, effecting it, and changing it. To my mind, this is the definition of the beginning of an era. So when will it end? Well, perhaps never. Some scientists have been talking, for years, about nuclear powered space craft, while others are seeking the key to the process of controlled fusion. Like the wheel, electricity, radio, and computers, nuclear technology may be evolved, but will perhaps never go away. It offers a number of benefits, and at a relatively low cost, and affords the prospect of seemingly limitless energy into the foreseeable future.